Summer is just around the corner and it’s time to get your beach wear out! 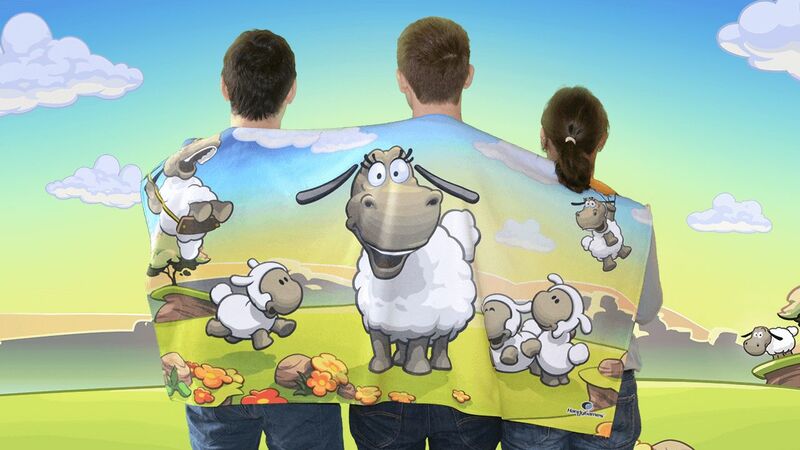 Regardless if you are a fan of the Clouds & Sheep franchise or simply a fan of laying at the pool or beach in style, the Clouds & Sheep Towel is right for you! This super fluffy towel with a cute Clouds & Sheep 2 themed print is sure to turn some heads and spawn some hearts. So get your head out of the clouds and get it now.